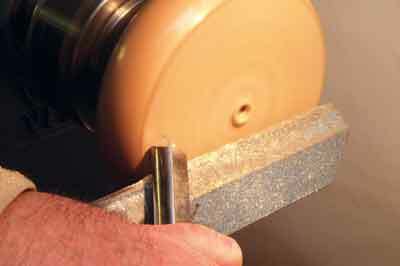 When using a bowl gouge it is wise to lead with the bevel. 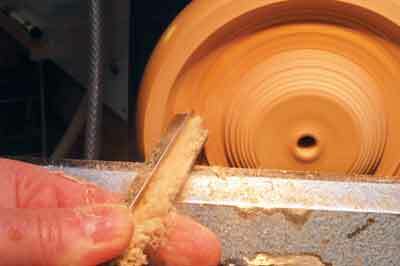 By placing the bevel lightly in contact with the work, the angle of cut is determined before the cut is started. 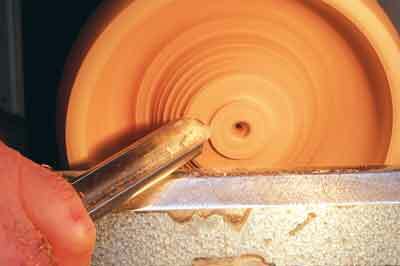 This leads to greater precision in using the tool. 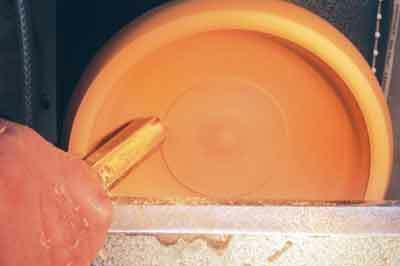 Initially the surface is uneven and the tool may bounce on the surface. 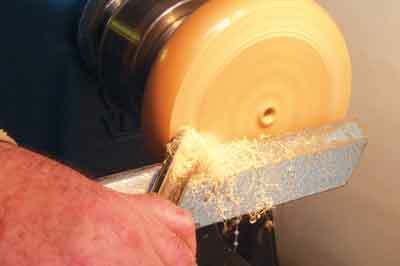 You should resist the impulse to grip the tool more tightly, but instead, gently draw it back to the edge of the workpiece, maintaining the bevel at the correct angle. See the four pointers below for advice on how to get the best results.